From its wild, wolf-like appearance to its amazing capacity for power and athleticism, the Siberian Husky is a dog breed unlike any other. But what’s the best dog food for huskies? That’s a fantastic question, and we’ve done some research to help you answer it. A 5 stars View Current Price on Chewy! B 4.5 stars View Current Price on Chewy! B+ 4.3 stars View Current Price on Chewy! A- 4.5 stars View Current Price on Amazon! So, What’s the Best Dog Food for Siberian Huskies? Here's Our Recommendation. 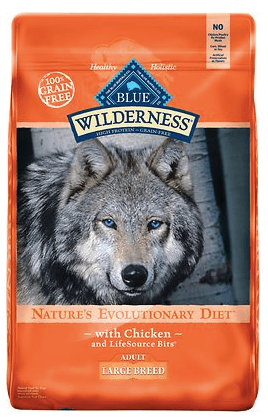 Choosing the best dog food for your Husky is super-important—and after doing our research and looking into it, we’ve discovered that Blue Buffalo Wilderness Large Breed Chicken Recipe Dog Food seems to be one of the best choices available. 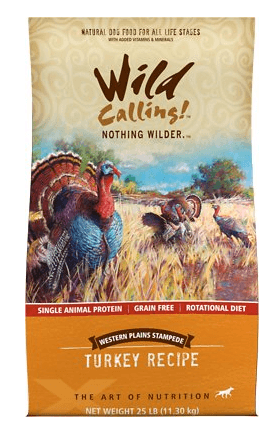 There are obviously a number of different high-quality foods available on the market—but Blue Buffalo Wilderness just seemed to out-perform the rest in almost every category. 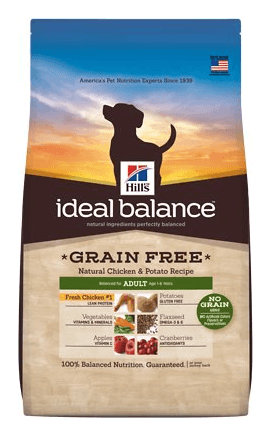 This grain-free, chicken-based kibble is packed with Omega fatty acids—which help to both boost the immune system and promote eye-health. This will help the Husky with its pre-disposition to many eye-related conditions and diseases, and is an awesome addition to a healthy diet and lifestyle. It’s also high in protein, which helps to fuel the vital high-energy-levels of the breed. Other ingredients include fish oil, eggs, and quality sources of vitamins A, C, and E—which are also fantastic additions to the Husky diet, as these will help to further boost and support eye-health. There's also a lot of valuable fiber sources, which are essential for Huskies predisposed to Corneal Dystrophy. If you’re looking for a holistic dog food option that’s both high in nutritional value and basically devoid of ‘filler’ material, then there’s a good chance that you’re going to love Blue Buffalo. 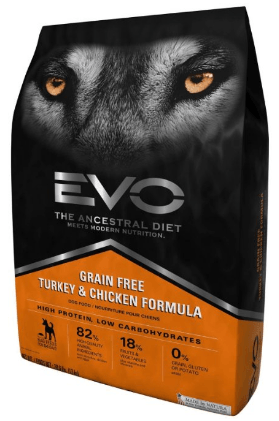 Packed with Omega fatty acids, fiber, minerals, and vitamins, this dog food will provide your Husky with a balanced diet—promoting long life, health, and vitality. You don’t need to spend much time around a Husky to realize that they’re a special breed. They’re intelligent, powerful, athletic, and independent. Many people fall in love with their wild, almost wolf-like appearance—only to realize very quickly that it’s easy to underestimate the challenges associated with raising one. Huskies aren’t that easy to train, and thrive best when taken in by an expert, confident dog owner who knows how to handle them. They’re super-curious, and have a well-deserved reputation as escape artists. But with that being said, they make lovable and amazing pets. They’re excellent family dogs, and do extremely well around children. They’re also usually well-behaved around other dogs, and tend to be surprisingly good-natured when trained and nurtured correctly. If you’re looking for a medium-to-larger-sized family dog that’s also intelligent and full of energy, then there’s a very good chance that the Siberian Husky will be your new, favorite breed. Siberian Huskies grow to be just under 2 feet tall at the shoulder, live approximately 12 to 15 years, and can weigh anywhere between 35 and 60 pounds when fully-grown. Some people classify them as a ‘large’ dog breed, though this isn’t exactly correct. Despite their strength and solid build, even adults are considered ‘medium’ sized. But they’re extremely athletic, and will need plenty of calories to keep them energized. Even a less-active Husky will need somewhere around 1,000 calories per day, while a moderately-active animal will need somewhere closer to 1,145. Highly active pets might need somewhere closer to 1,800 calories daily, depending on exactly how active they tend to be. Keep in mind that these caloric figures are averages. Every dog’s energy level and caloric needs are going to be a little bit different, and body-weight will also probably vary from dog to dog—so make sure to pay attention to how hungry your dog seems to be. You should also pay attention to his/her daily energy level, and modify food portions as needed. This video provides a pretty simple, yet informative pet profile of the breed. If you’re thinking about adopting a husky or already have one and need to learn more about them, then you should definitely check it out. While Huskies do tend to be healthy animals for the most part, they can be susceptible to a number of health issues. 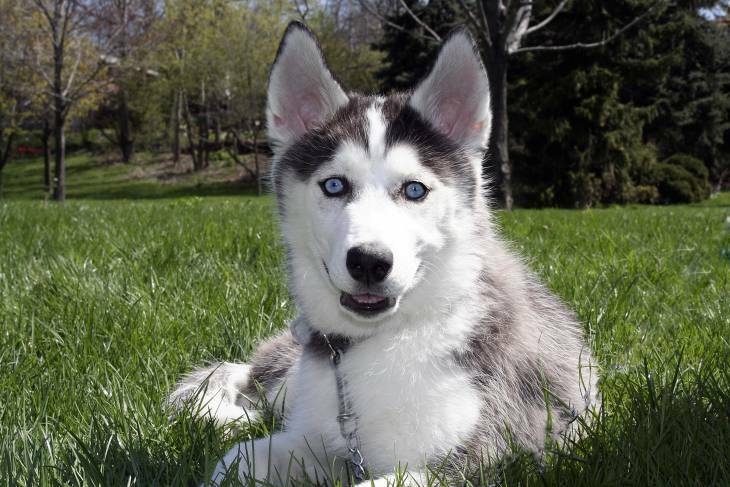 Of course, before adopting a Husky puppy, it’s always a good idea to see paperwork confirming that there’s no history of Hip Dysplasia in the family—despite the fact that only 2% of those tested end up showing positive for it. Most of the problems that this breed deals with are eyesight related. Here are a few that tend to be the most common. This is a genetic disease that manifests itself as a degeneration of the retina. It can lead to sight-problems and blindness. Generally, Huskies that come from professional breeders are tested for PRA, and dogs that show positive for the disorder aren’t used for breeding—to help avoid passing the disease down the genetic line. While the condition can’t be treated or cured, you can help your dog to cope with it through supplementation and proper nutrition. A diet rich in antioxidants can help to keep your dog’s vision better for longer. Healthy foods like blueberries, carrots, Kale, and Broccoli can all have a positive impact. For more information on PRA, you can visit this page—which is the animaleyecare.net article dedicated to the disease. Cataracts cause a cloudiness in the lens of the eye, and can greatly hinder your dog’s vision. Some dogs inherit this condition, though it can also be caused by old age, diabetes mellitus, inflammation of the eye, exposure to a toxic substance, or even abnormally low levels of calcium in the blood. According to an article published by petremedycharts.com, a diet rich in vitamins A, C, and E can help to support eye health in animals dealing with the condition. This is an inherited progressive condition that’s, unfortunately, relatively common in dogs. It affects the cornea (or the outer portion of the eye), and causes cloudiness that may or may not affect your dog’s vision. Siberian Huskies are predisposed to the condition, though it can be helped with dietary management. A low-fat, high-fiber diet can help to keep it from getting worse. To find out more about this disease, visit this article on the subject at eyecareforanimals.com. Most people agree that Huskies shouldn’t be weaned before they’re 3 weeks old—though once they reach this age, it’s probably a good idea to begin the process. Most Husky puppies can be successfully weaned somewhere between the ages of 3 and 5 weeks—which is when they’ll begin looking for more ‘solid’ food. By the time your Husky puppy is 6 weeks old, he/she should be completely weaned and transitioned to a diet of high quality, nutrition-rich puppy food. When the puppy reaches the 8-week old mark, it can be relocated to a new home away from the litter—as proper socialization will have taken place by this time. It’s strongly recommended that you don’t separate the pup from the mother and litter before week 8, as this can have a negative impact on the pup and make it much more difficult to train. At 8 weeks of age, your Siberian Husky pup should weigh somewhere between 8 and 12 pounds—though they sometimes grow even faster than this, and a 15 pound Husky pup isn’t all that uncommon (especially if it’s a male)! Typically, puppies at this age will need about 342 calories on a daily basis—though a pup that’s very active might need to eat as much as 545 calories to stay properly energized. Remember to watch your puppy as he/she eats and plays. This should allow you to notice if the pup isn’t getting enough.